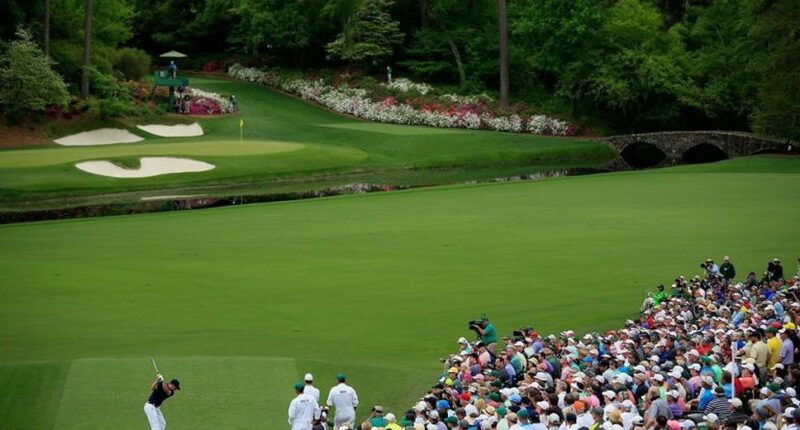 (SP) – Augusta National Golf Club completed the installation of artificial turf throughout its 18-hole, 7,435-yard course today just in time for the start of this year’s The Masters. Augusta officials believe the synthetic surface will save more than $3.2 million in course upkeep costs each year. “Not only is our new FieldTurf surface going to save money, but the bright green fake grass and the white and pink plastic azaleas are really going to pop on television,” said Augusta chairman Billy Payne. Payne admitted there was initially pushback from some Augusta members about installing artificial turf, but they eventually agreed the change was for the best. This year’s Masters will also feature new artificial sounds. Payne also announced one more change to this year’s tournament developed in conjunction with CBS.